Get your hands on a real, live working DIYLILCNC! All week at the SIGGRAPH Studio 2011, Taylor Hokanson will be running demos, answering questions, and having fun. 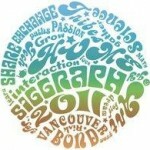 The Studio is the place for making and creating at SIGGRAPH 2011. Roll your sleeves up and get hands on in this three-ring circus of technological wonders. It is an amazing space where experts, attendees, and the latest technologies are brought together to create new works, experiment, and collaborate. Leave your old work behind, come to The Studio, and create something new. In the Studio, you'll find technologies specifically set up for you to use and create with. Our experts make special arrangements with research labs, developers, universities, and vendors to provide access to technologies that are not easily accessible elsewhere. Attendees can experiment and create new works with large-format printing, motion capture, interactive music, the latest software suites, high-end computing workstations, laser scanning, and many new additions to The Studio. More than ever before, the Studio is for people of all ages, interests, and disciplines who want to create new works. You'll see kids making their own creations, live interactive music on our stage, in-depth workshops in our classroom, attendees working with Emerging Technologies presenters and Art Gallery artists, and wearable technologies on attendees. It's a fun space, a creative space, a learning space, a discovery space, a space for you.